Chess teaches children forethought, planning, thinking ahead, independent study, abstract thinking, the ability to handle defeat, responsibilities for one's actions, mental discipline, deferred gratification and respect for the quality of other minds - or in only few words - chess gives children the skills to achieve excellence! 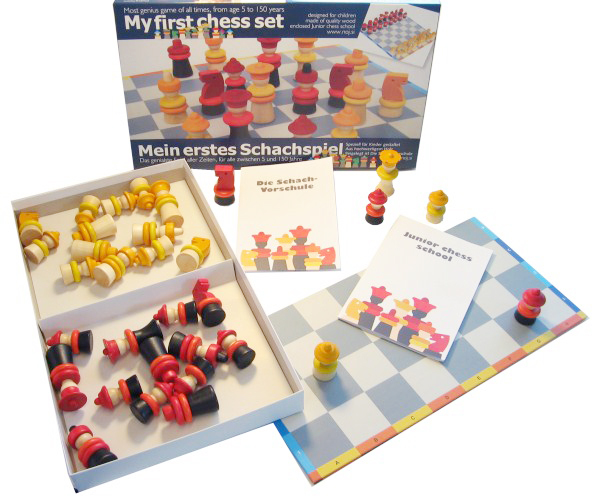 Many chess studis shows that children should make first contact with chess at age 5 to 6 years - but how can we achieve this, if they do not find any interest in "regular" chess sets? 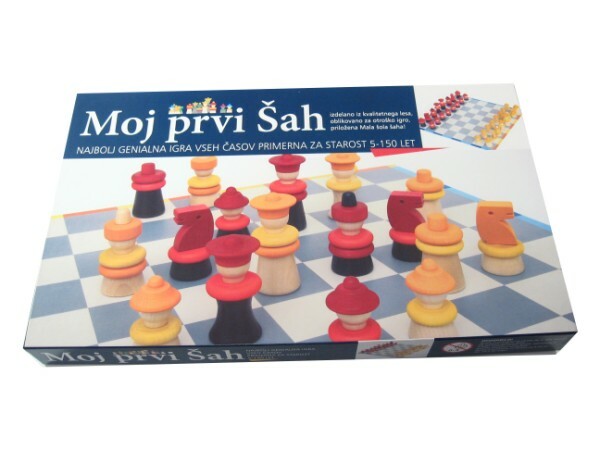 In cooperation with world know toy designer Sergio Gobbo (receiver of many rewards, cooperation with domestic and foreign toy manufacturers, author of a rewarded TV children series), Slovenian Chess association, GM Duško Pavasovič and excellent web site www.ChessKid.com we created chess set which will attract youngsters! 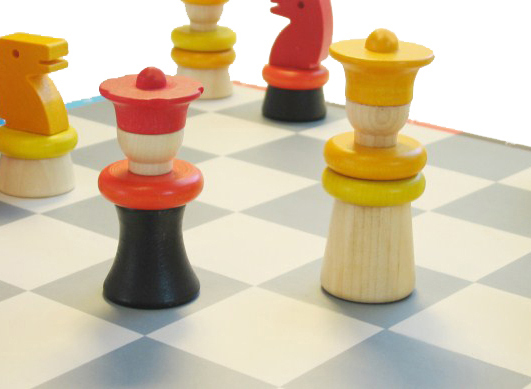 My first chess set adress children as a wooden toy. It attracts their attention with vivid colours and masterfully designed pieces in which children recognize the pieces form and role. More then 30 years of woodturning experiences and german made top coats garantuee high quality of work. Product is in accordance with DIN EN 71-1, 71-3, 71-9 and DIN 53-160 standards. 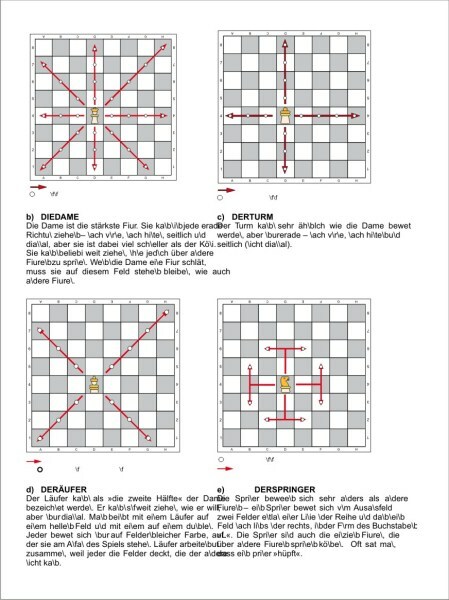 Experts on positive effects of chess and its early study (text also printed on the box) !!! 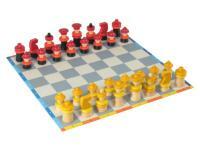 Chess is an excellent game even for older preschool children, especially 5-6 years of age. 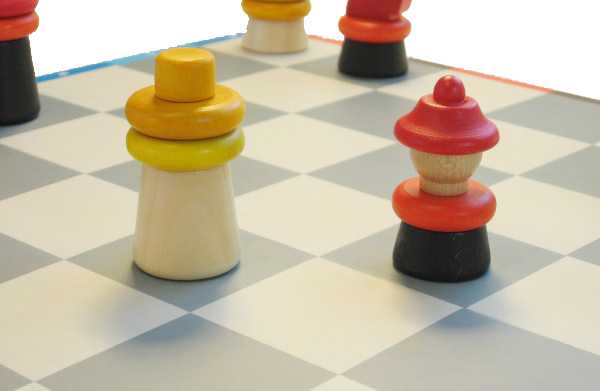 When moving interesting and appealing pieces on the chessboard, children think about own and opponent's moves. By that they learn the idea of planning, anticipation, social understanding, accepting victory and defeat and developing logical strategy. And because they get attracted to the game, the game is fun and exciting. The ability which children should develop as soon as possible is the ability of internal planning of actions and cognitive imagining. 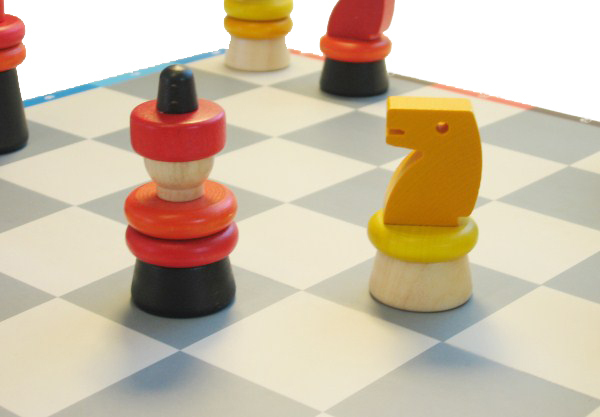 With chess, this ability can be effectively developed in a period, when a child is most susceptible to learning the basics of chess, that is between 5-6 years of age. At that time, children are fully open to chess and can learn it easily and fast. It is not about the development of grandmasters, which can be done at a later stage of a child's development, it is about the development of thinking with the help of the game of chess. 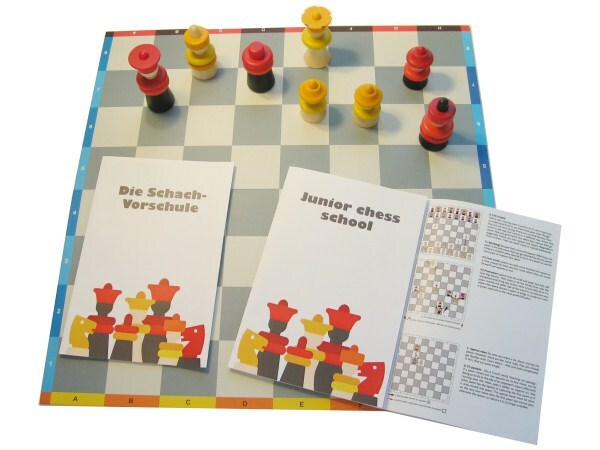 For that cause, special didactics and methodics of early chess-learning is developed, it is an outstanding foundation for future mastership in any field. 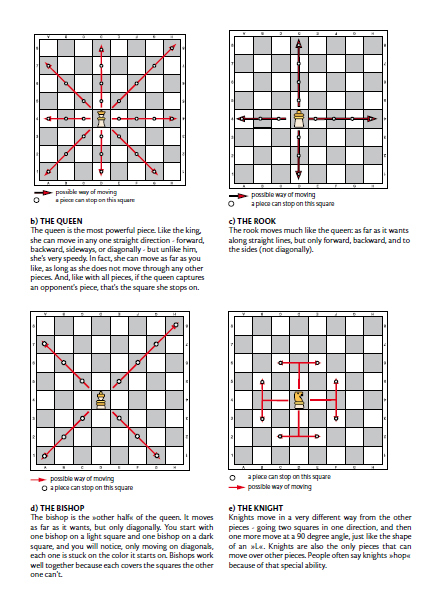 I started playing chess out of joy. 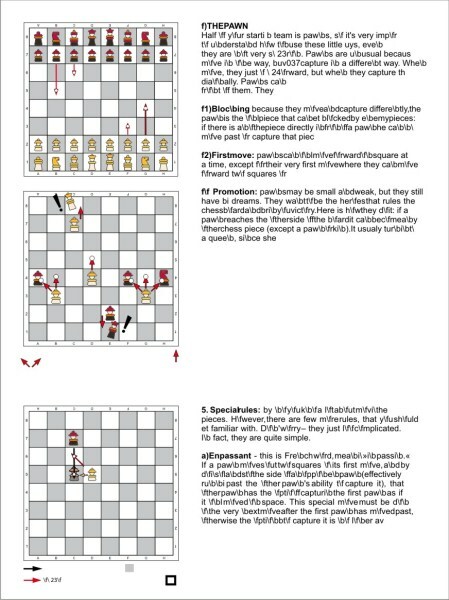 Back then I did not know about tournaments, European and world championships, chess Olympics. But success came very soon – youth world championship in 1961, Olympic medals, duels with top chess players – Fischer, Karpov, Spaski… I have seen the entire world and carry in my memory unforgettable stories. I do not play often any more – I might attend some invitations from young players. I like encouraging them. 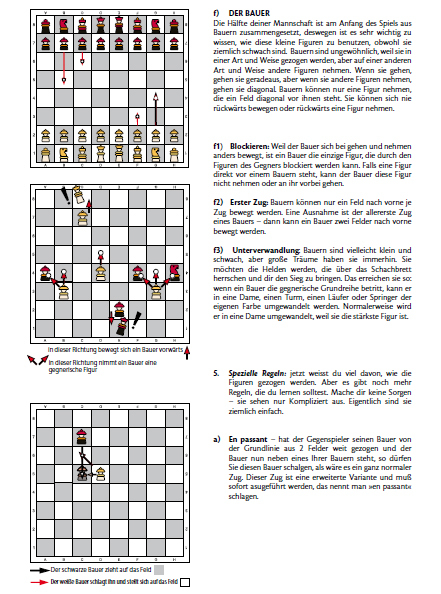 Let them know that chess is not only about sitting behind the chessboard, but also about fun and joy. It is about defeats from which you learn and victories you never forget.